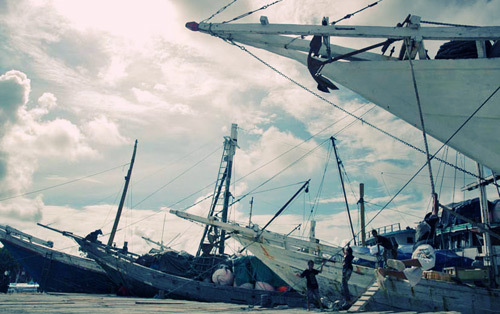 On the outskirts of Ujung Pandang, Paotere is where sailing boats and other small vessels anchor to unload their cargo. The setting casts a glow over the sea with the silhouettes of the boats. Tourists most often photograph this scenery.